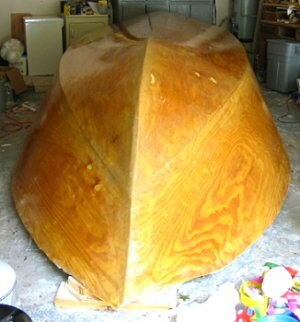 4/29/03 - Just finished the last coat of epoxy on the fiberglassing of the hull. Sanding and paint is next to come. Should be all downhill from here. Picture of the completed hull is attached.